As expected, the winners did not participate in the ceremony. 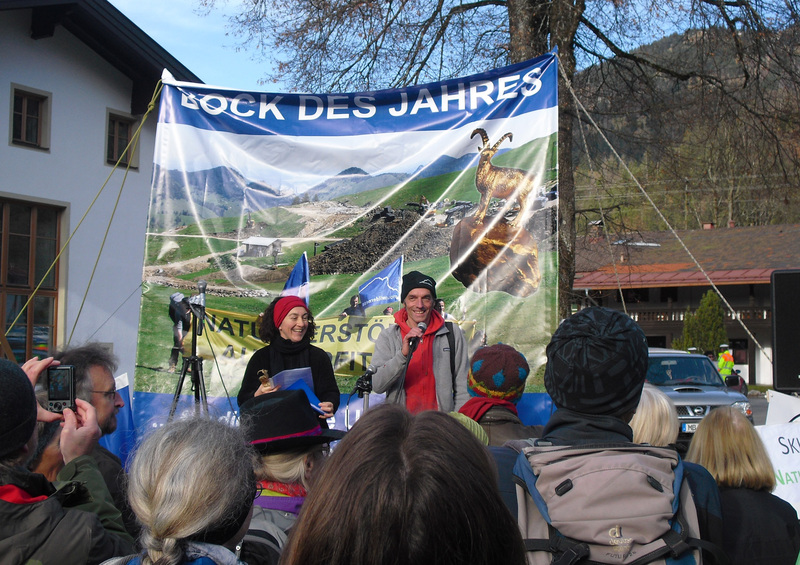 A total of about 150 spectators and guests gathered for the ceremony and thus expressed their support to the concerns expressed by environmentalist organizations. 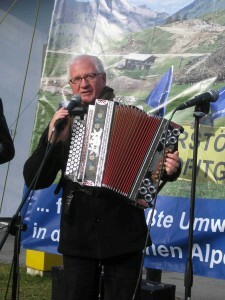 Among those the “Hans Well and the Wellbappn” group was a very prominent supporter. 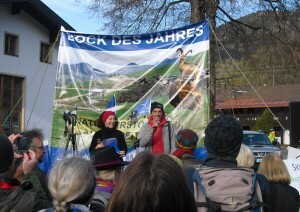 They modified the traditional folk song “Bayrischzeller Heimatlied” in a satirical way under great applause. 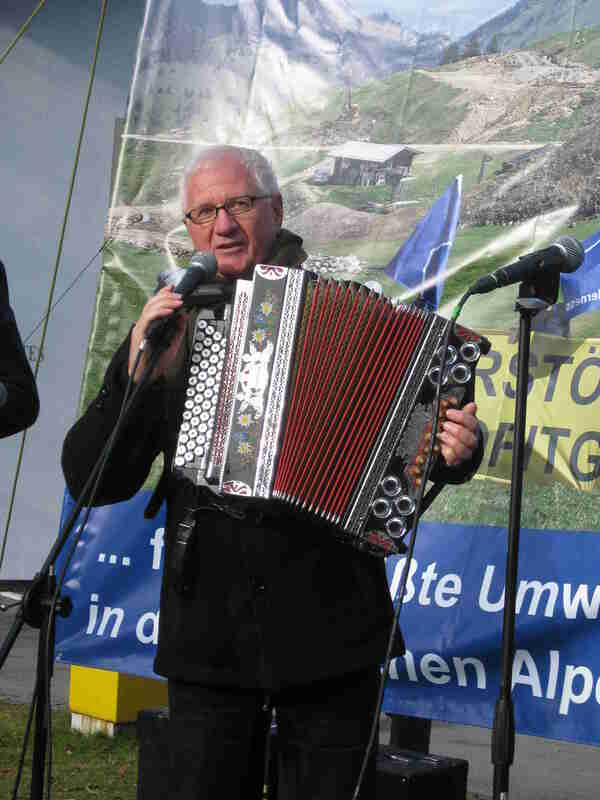 “I have been against snow-making equipment and reservoirs for many years – and especially against big ones like this” said Hans Well after his performance. Mountain Wilderness demands a sustainable tourism running allover the year.